Introducing The Refreshed Moshtix Branding! It's an exciting time in the world of Moshtix - we're stoked to be able to introduce you all to our refreshed Moshtix branding today! You may have already seen the new logo and colours appear across our site or emails, and you're probably wondering what the story is behind our schmick brand refresh. 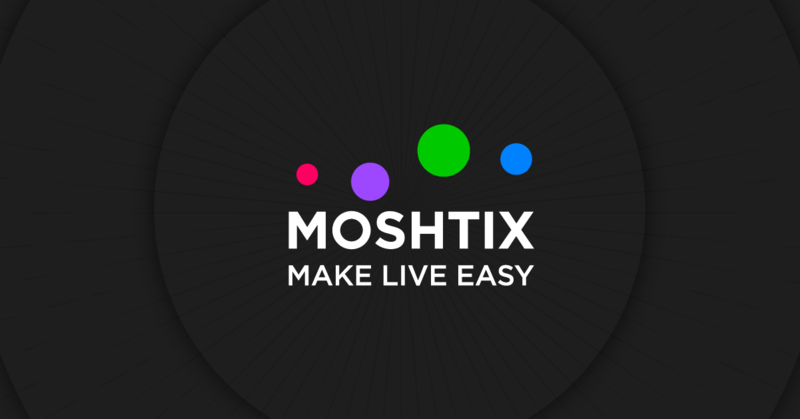 Firstly, as you can see above, we've given the Moshtix logo an exciting refresh, alongside a new tagline - Make Live Easy - which speaks directly to what Moshtix stands for. We want to Make Live Easy for not only for event organisers who list their tickets with us, but for our customers who are buying tickets through us as well. We're stepping up with an uppercase treatment of the Moshtix name in our logo, and bringing life to our iconic circles to symbolise the movement and energy of our industry and Moshtix itself. You'll see these changes come in batches as we continue to roll out the refreshed branding across all our assets, along with further tweaks to the appearance of the website than the ones you may have noticed happening over the last couple of months. Our ongoing investment in technology, people, and value-add services for our clients and customers alike means we'll never be sitting still in our quest to Make Live Easy.